A vacation to the mountains isn’t just for the rich and famous. Enjoy the great outdoors, farmer’s markets, walking tours and free festivals. There are plenty of ways to enjoy Summit County that will lighten your spirit and your waistline rather than your wallet. Here are fifty of them! 3. Take a picnic to one of Frisco’s seven parks. Most offer tables, shelters and grills. 4. There are many popular and challenging hikes around Frisco. Favorites are Rainbow Lake, North Ten Mile, the Rec Path to Breckenridge or Dillon and Meadow Creek/Lilly Pad. Visit the Info Center for directions. 7. Grab some gear (and a Colorado fishing license) and fish the local streams and rivers. 9. Grab your bike or longboard and take the free Summit Stage bus to Copper Mountain and ride the paved, mostly downhill, Ten Mile Canyon Recpath back to Frisco. 10. Stroll Main Street Frisco or Breckenridge for some prime window shopping. Most stores are locally owned and operated and filled with unique items. 13. Take a stroll along the Riverwalk just west of Main St. For the more adventurous, Breck has countless miles of hiking trails or climb to the top of Quandry Peak! 14. Take a self-guided historic walking tour of town. Visit gobreck.com or call 970-453-2913 for more info. 16. 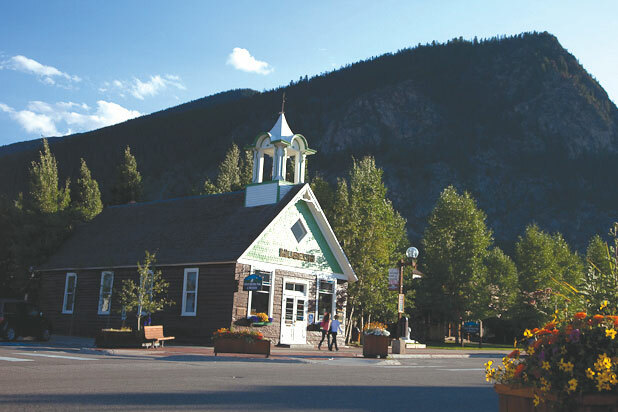 The Breckenridge Welcome Center is now an interpretive museum featuring displays on life in the 1880s and the town’s evolution from gold-mining mecca to Victorian ski village. 203 S. Main St.
17. Along with an array of community amenities, Carter Park also features a free dog park that’s a popular place to socialize for both local dogs and humans. Four blocks east of Main St., south end of High St.
18. The Breckenridge Kayak Park is the longest in the state and includes 15 water features that challenge all levels of boaters. Just east of the Recreation Center. Free access, conditions permitting. 19. Hit the Breckenridge Mountain Bike Freeride Park, the Skateboard Park or the more leisurely bike path from Breckenridge to Frisco. The 9.5-mile trail is pedestrian-friendly and a popular summer route. 20. Take a scenic drive over Boreas Pass or Hoosier Pass and get some great photos of the leaves changing. 23. 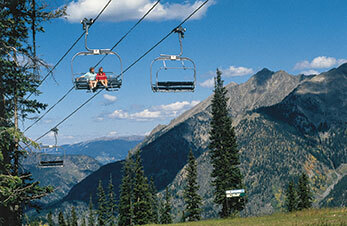 Hike to the peak of Copper Mountain or stroll along the Colorado Trail. Information about self guided hikes and complimentary hiking-poles, strollers and child-carriers are available at Guest Services. 24. Explore the West Lake side of Copper by Bumper or Paddleboat! Kids 5 and under ride free with a paying adult. 26. Take a free round-trip ride on the American Eagle chairlift after spending $10 anywhere in the village. Visit coppercolorado.com for details. 27. Soak up some of Colorado’s 300 days of sunshine on the bike path around beautiful Lake Dillon. 29. Head to Town Park for a leisurely game of Bocce. If you’re more committed you can join the local league! 31. Fourth of July celebrations county-wide include live music, parades and spectacular fireworks. Dillon goes all out with pie and watermelon eating contests, a boat parade, free concert and fireworks display over Frisco Bay. 32. Browse the Dillon Arts Festival in downtown Dillon in July. Admission is free to this three-day festival showcasing 65 of Colorado and the nation’s finest artists. 33. Dog lovers unite at the Marina Mutt Contest in early September. An afternoon of fun, as dog owner’s show off their companions and compete for prizes at this family-friendly event at the Dillon Marina. 34. Stop by the Summit Historical Society’s old-fashioned ice cream social for 5¢ ice cream cones. Old Dillon Schoolhouse and Museum, 403 La Bonte St.
37. Soak in the incredible views from the easy hikes through the Dillon Nature Preserve. Trails include educational signs about the history of the area, wildlife and native plants designed by Dillon Valley Elementary School 5th graders! 38. For stunning views of Lake Dillon Reservoir and the Tenmile Range, head up Swan Mountain Road to Sapphire Point between Keystone and Breckenridge. 39. Ride Keystone’s River Run Gondola up 11,640 feet for spectacular panoramic views of Lake Dillon, Breckenridge and the surrounding mountains. Free during the Friday Afternoon Club. 40. 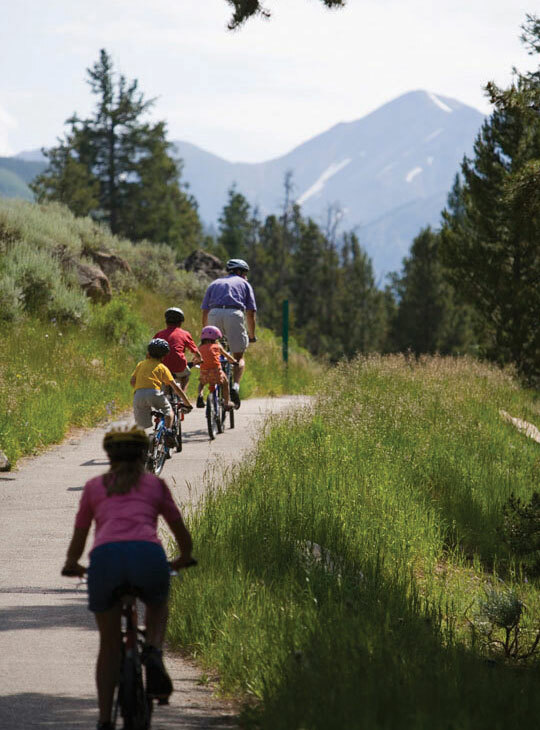 Go on a scenic bike ride along one of Keystone’s many bike trails. The Rossetter Trail is a three-mile path around the Keystone Ranch Golf Course or ride a paved trail all the way to Frisco around the reservoir. 41. 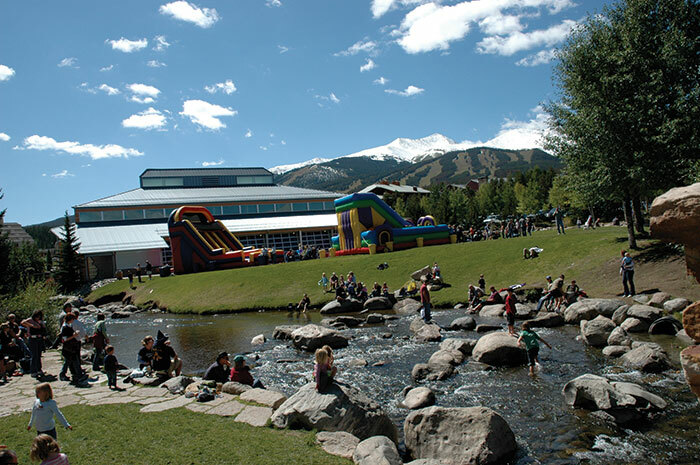 Experience a free festival in Keystone's River Run Village. Most weekends all summer long. 42. Take a picnic and take in the views at Keystone Lake. 44. Rip it up at the Silverthorne Skate Park with rails, ramps and jumps. Or grab a seat on the sidelines and watch the pros do the hard work. 430 Rainbow Dr.
46. Drop in and enjoy a game at the Rainbow Park Sand Volleyball Courts. The courts are open from dawn to dusk late May through mid September. 431 Rainbow Dr.
47. Head to the Kids Fishing Derby on June 2 at 9am. Bring your poles, bait, and skills for a morning of fishing fun at the Trent Park pond. 48. Walk the easy, family-friendly 2-mile loop around Cataract Lake that travels through fields of wildflowers, thick spruce-fir forest, and past the beautiful cascades of Cataract Creek and falls. 50. Visit Leadville for their annual Boom Days Celebration. The event takes place August 2-4 this year and will include a parade, food and craft fair, pancake breakfast, burro races and much more free family fun.